→How to Check Keyword Competition in Google? Well, nominally, everyone that Google displays in the SERPs. But more specifically, only the results with exact keyword within their content and meta, and going even further, only the first 10 in the SERP's. They are doing something right, and you want to first copy what they're doing, and then thoroughly outdo them. Your goal should always be to sit on page 1 rank 1. I said "two-pronged attack" because there are two ways to check keywords directly in Google. One is easy, fast and mostly effective. The other is slow and boring, but insightful and super efficient. For best results, you'll want to combine them. I got this one from Gotch SEO. Basically, before getting your hands dirty and potentially wasting hours, you want to go and give a quick glance-over and see whether the first page is riddled with sites you know you can't beat. Forums - the same as Q&A sites, but much poorer content. Web 2.0 - These subdomains are easy pickings as Google views them as an amateurish effort, at best. Enhanced SERP's- featured snippets, ads, carousels, they all take away from clicks you'd usually get. When first drafting this guide, I thought about listing the actions you should (and should not) take, followed by explanations why and why not. But then I thought, "that's so boring Nikola, would YOU read such an article"? And my answer was a resounding NO! The keyword for this article is "Wealthy Affiliate Review". This piece is perfect because there isn't an article on my site I worked harder on. I literally put 100+ hours in it, trying to make it perfect, both content and SEO wise. By following the steps I took, you will learn what to do, what not to do and you'll develop a hawks eye for noticing your competitions flaws. Did you know that blog post titles and meta titles are not the same thing, and don’t have to be? Blog post title is always in H1 tag and it's what readers see once they click on your result in SERP listing. Meta title is the blue headline people see in the SERP. So just by glancing over the results, you can tell if a competing site has a keyword in the meta title. Pro tip: If yours is a brand new website, then it's crucial for you to get your meta titles right. Because in the early days of any site, Google-bot isn’t quite sure who you are and where to place you, so you have to help it by being clear about it. You must say: “Hey Google! Look! I want to be ranked for this! Bottom line: Optimized meta title are a must for any website, but it’s a double must for new websites. Whenever you create a post or a page in WordPress, just below the post title, there's a thing called "permalink". That permalink will become your URL once you publish that post, and you better optimize it while it's still in the draft mode. I pay attention to these small details because short URLs tend to rank better in Google, descriptive URLs entice people to click which will boost your page’s CTR. Lastly, keyword in URL is a small ranking factor as per John Mueller of Google. Pro tip: You might be wondering...How is he able to write his own permalinks when I get some random numbers and nonsense in my URLs? I want to change that. How to do it? In your WordPress dashboard, go to Settings > Permalinks. I recommend the last option. “Custom Structure”. It instantly removes all the junk from your URL and let you insert valuable keywords. Select, hit save and you’re done. Now you can change the permalink manually and this will give you both SEO and UX points I mentioned above. 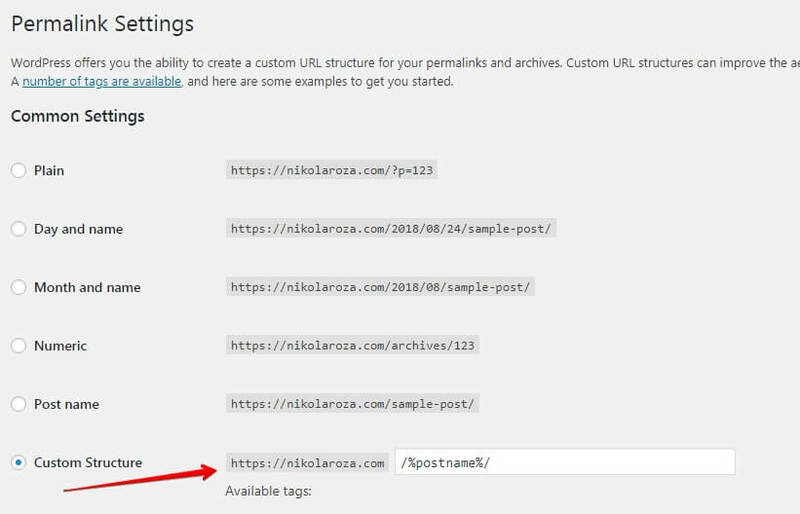 I recommend changing to custom post type so your NEW articles can benefit from better URL structure. But your old blog posts should remain with their old URLs. Because it is dangerous to change URLs just like that. When you do, Google will see it as a new page and will return 404 error for the previous URL. It means you'll lose all your visitors, rankings and SEO of the previous page. So it's better to leave that pandora's box unopened. It isn't worth it because URL is only a minor ranking factors. Now we’re talking about the true title of the post. Not the meta title but “The title". I know what you expect: A technique to get the most SEO benefit out of it? To squeeze every drop of value there is? Just don’t do it. Forget about SEO. Your headline is an exception. Blog posts help the readers by giving valuable information. Whilst, titles tell the visitors what lies ahead, whether they should read on, and what’s in it for them. Eight-tenths of all people will not read on if the title is boring. Aha, I bet this gave you a new perspective on H1 tags. Now you understand their importance! “How can I make my title compelling? I don’t want to spend looong hours writing something that will collect internet dust! 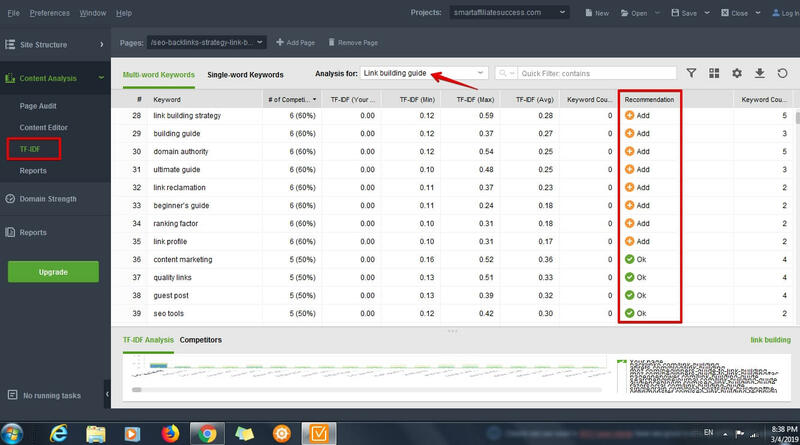 You need to look at your target keyword and think hard. Ask yourself: what do people really want? What are they looking for? They believe they have something valuable to offer to the world. They’re scared they’ve missed the boat on blogging and internet marketing. When I was writing my review, I knew I wanted to dispel those fears. IF they persist; Fail; stand up again; and push; they will succeed and it’s inevitable that they do. I made sure not to sugarcoat things but I told them the reality of affiliate marketing. It's hard to word; but possible for anyone. And it’s the best chance for regular folks to escape the 9-5 grind. Bottom line: Identify that one major problem your reader is having, then promise the solution in your blog post title. And never worry about SEO. If people read and enjoy your stuff, that's all the SEO you need. What About Having My Keyword in a Subheading? Can I Do it? Yes, you can and you should do it, but only if it makes sense. I learned this from Brian Dean and the research he’s done. 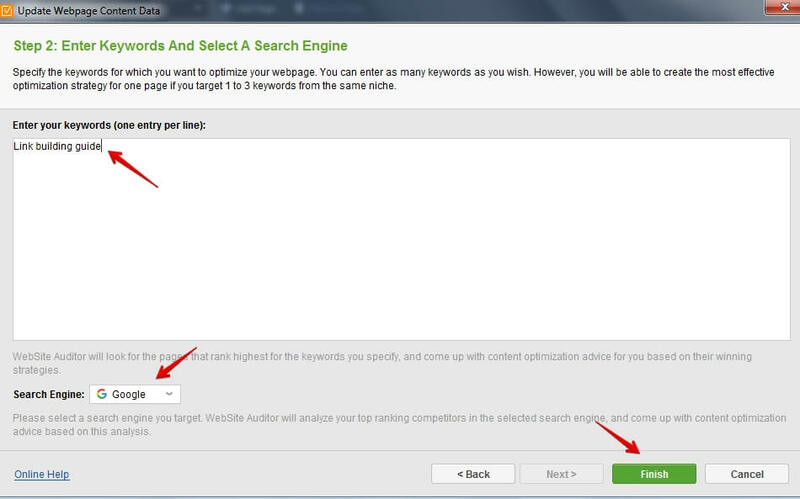 Brian says that keyword in an H2 tag is a minor ranking factor that can in certain cases tip the scale in your favor. You must make it natural. If it doesn’t flow well, don't do it. Never sacrifice users for bots. Google will know and won’t thank you for it. My keyword for this post is “how to check keyword competition in Google”, but have you noticed that I don’t have my targeted keyword in any of the subheadings? And why did I forgo the chance for some easy SEO points? Because I couldn’t find the suitable subheading. Bottom line: Do it when you can because meaningful headings build up article relevancy, but never force it. People today are savvy enough to recognize you’re thinking more about Google that the actual visitor. And it cuts them deep. Now, meta description as a ranking factor is somewhat controversial. It used to be one, for Google but isn’t anymore. And most folks don't bother with it, one less chore for them to do. It's not important so let it go and move on. 1. Google bolds keywords within the description. This tell readers that your listing has what they need. So that is increased CTR for you... which is a ranking factor for both Google and Bing. 2. Google reads your description to determine the topic of your page. So by including relevant words and related phrases you can boost relevancy and in turn, rankings. Writing meta description is more of an art than a science, but here are few basic tips to get you started. Have your keyword in the meta description. This will entice Google to actually show it (usually, what happens is that Google takes a small part of your article and uses that as the meta description. (The problem? Google is not very good with it). Use action-oriented language. Words like learning, read, get, find out, don’t miss… They make the reader all pumped with adrenaline and this makes it easier for you to get that click. Note: Notice how I didn’t have an exact match keyword in my description? It’s because I craft them with no SEO concern at all. I only want to present my page in the best light. My meta description has to prelude what my page is about and it has to promise and entice. If there’s room for a keyword in there, GREAT. If not, I lose nothing. The days of stuffing keywords are long gone but within your content, you must have your target phrase at least once. And it has to be a perfect match. So if your keyword is “how to tie a tie”, you need to have “how to tie a tie” somewhere within content, ideally above the fold. Pro Tip: If you can, have your target keyword in the first 100 words of an article. This is an old-school SEO technique that used to work and was a big ranking signal. Basically, search engines were primitive and you had to spell it out what your keyword is and what you want to rank for. This was done by placing your focus keyword in the first 100 word. That's no longer necessary, but it doesn't hurt and is good usability. 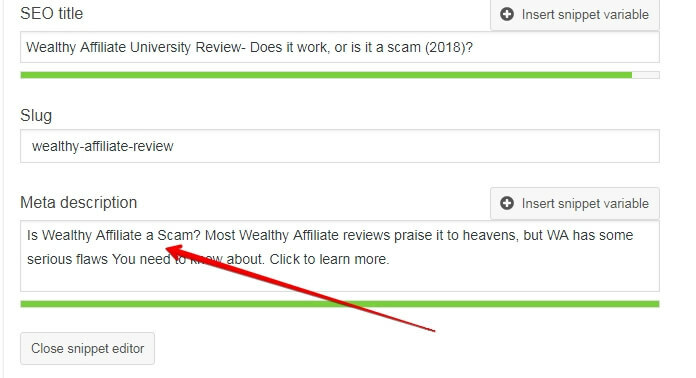 If people go and click on my Wealthy Affiliate Review and then don't see those words anywhere they'll be mighty confused, won't they? Second, they’ll be more likely to click the back button. This is called pogo sticking and is really bad for SEO. I mean really bad. Above average pogo sticking can nullify a 1000 quality backlinks before you get the chance to say “links are the most important ranking factor for Google". It won't matter as user satisfaction is everything to Google and it should be to you too. You might have heard that keyword density is dead and buried a long time ago. Or perhaps you’ve heard that you should still use it as it is alive and kicking. Heck! You probably heard both. SEO's seem not to be able to bring this to a conclusion. It's dead for boosting your rank but it’s a useful technique for gaining valuable insights into how to rank for a particular keyword. Note: the way you get the ideal keyword density is by adding up the percentage of the entire first page, which is then divided by 10. Linking internally is SEO best practice. But it does not matter much when measuring your competitor's efforts. Still, it’s good to know if they internally connect their articles. Internal links pass ranking power and relevancy and connect different article into a relevancy cluster. However, if they internal linking is lackluster, they miss on a chance to improve their SEO. And it’s small advantage for you. External link are a bit more important. In 2003 Google bought the Hilltop algorithm. Because this algo's main job is to analyze your page and determine if your page is a hub of knowledge and usefulness, that deserves that top of the hill. And they determine that by the number and quality of outgoing links you have. If you don't link out, ranking is going to be an uphill battle (pun intended). If still in doubt, take a look at this video by Brian Dean. Google and other search engines like aged domains. Running a mature website tells them you’re serious and are playing this game long-term. However, it means that your brand new site is the new kid on the block. And it has a lot to prove. Don't let this trouble you! You can't influence it, so let it go. And never think: ”I'll never outrank them because their site will always be older than mine”. Domain age means nothing if other metrics are not followed and if the content is no good. Because, in theory, old sites can have bad UX and crappy content, and still, rank above all younger sites with better articles. So, make your articles better, do your SEO right (by following the process outlined here), and you WILL outrank that pesky older site. What about the age of page? Page age is not a factor, but page freshness is. For some queries, Google likes old and proven content, and for others, they like new and fresh articles. And it is in your interest to check your keyword and know for sure. By employing this little know hack that I learned from Glen Allsop. 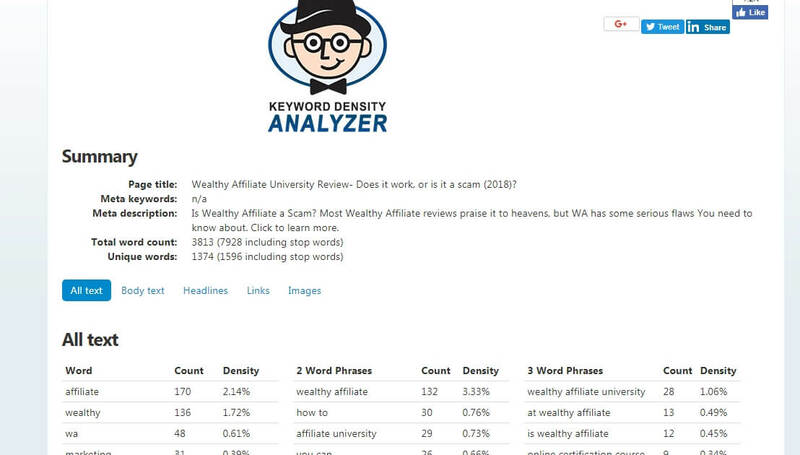 My keyword is "Wealthy Affiliate review" and my goal is to see when the competing pages were published. This is super powerful because now I know I wouldn't benefit from updating my page often. For this query, Google prefers proven content. I want to briefly touch upon this. You need to know the authority of the pages you're up against, not so much to determine whether something can be beaten (yes it can), but more so how much time it'll take. The first three are self-explanatory but here’s a word about link quality. Domain authority by Moz is a proxy, but far from perfect. They do not show you what Google thinks of a page, they show you what they think Google thinks. That's a world of difference. This means their authority is inflated and like a balloon, and it’s going to blow up soon. I’ll tell you a secret... Lots of sites ranking now for wealthy affiliate review have obvious spammy and paid links going to them. If I could find them out, there’s no doubt Google can too. They’re smarter than me. That’s why I’m cautiously optimistic about ranking for this competitive term. But you should focus on getting editorial backlinks and growing your authority in the healthy way. For starters, you're a person who is dedicated to the daily improvement and you realize this article can help you achieve your goals of passive income online, right? Second, this article is very easy to read because it's super well formatted. People don't read on the web is the result of a famous study by Neilsen group. They also concluded that people skim and CAN read if you can get their attention. So you need to format your article extremely well. The whole point to this is to keep people longer on your site. Also, make your stuff easy to read. Don't use complicated words, slang or jargon. Aim for the score of 10 or lower in the Hemingway app. "TF-IDF, sounds hard. It is… isn’t it? Yeah, it must be hard". No, it's not. I promise you only the name is intimidating, and the substance behind the name is a piece of cake. It stands for Term Frequency Inverted Document Frequency? If you still don't understand- I don't blame you. But it's basically a way for Google to determine the relevancy of your document (blog post) to your target keyword, by comparing it with the rest of the web, and especially the first page of Google. Do you use words your competition doesn't? Or do they miss words you include, that's all taken into account and all with the goal of deciding- which page is the most relevant to the query. You see, for every keyword folks type into Google search, Google has a list of words and phrases that are connected with it, and pages that rank well all contain those keyphrases, and pages that want to rank better have those. Don't worry if it’s still murky for you, what comes next is an example. 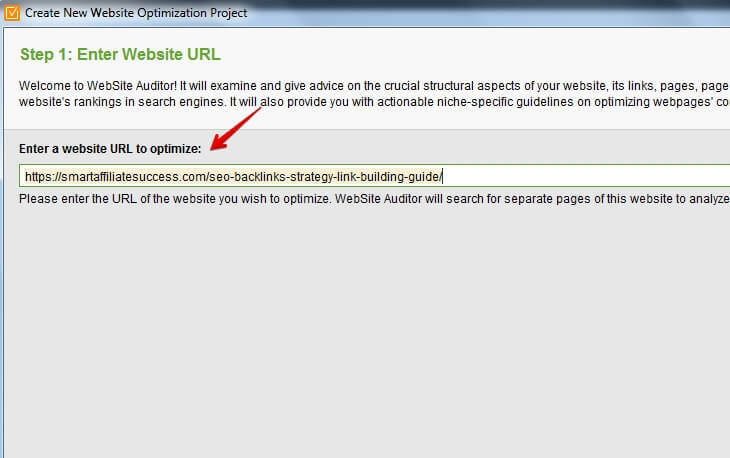 And as our test subject we'll use this backlinking guide from Jerry's site. Note: before we begin do know that you will need a tool to do TF-IDF analysis. Don't worrie- it's free. So go and install Site Auditor by Link Assistant. Then you need to wait for a while, and wait, and wait... This tool is really slow, but it might be like that because I have an ancient computer, unlike Jerry with his new MacBook Pro (I'm getting me one of those soon). Once the tool did it’s work, on the left there’ll be a content analysis section. Find TF-IDF and enter the keyword you want your article to be to be analyzed for. In our cases that'll be “link building guide”. Once that's done, go into your post's WordPress editor and make the changes as per tool's suggestions. That depends on the keywords you're optimizing for. I optimized two articles on my site. The first one jumped overnight several pages for my target keyword; the other took its sweet time and it took 3 weeks to start rising. 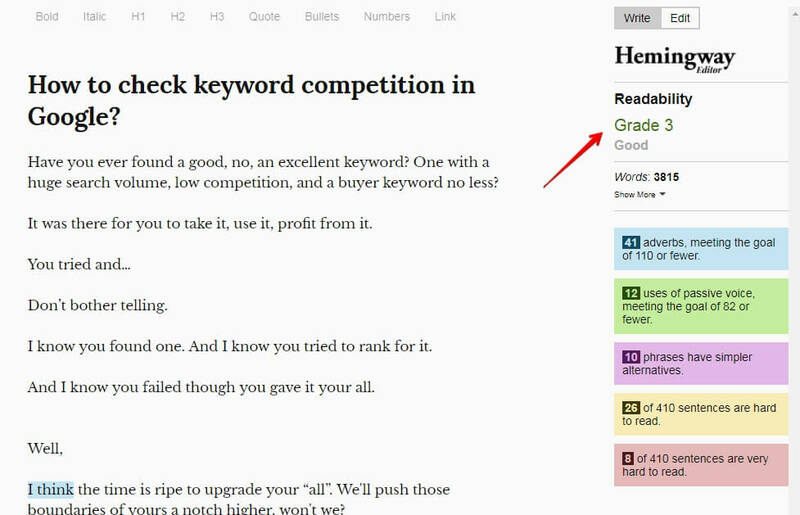 So if nothing happens once you super optimize your article- don't despair. TF-IDF is something both Google and Bing use when ranking sites. That was a long read. Thank you for finishing the article. My goal was to teach you how to check competition in Google. I think I did alright. But my secret goal was to show you how you can investigate your SERP adversaries, find their flaws and then capitalize on them. In other words, no one is unbeatable. Now go get them, you tiger you! Hi folks, my name is Nikola Roza and I blog at, you guessed it nikolaroza.com. My blog isn't just another SEO blog. I actually focus on creative tactics that anyone can afford to do, and that no one can afford to miss. They’re awesome. SEO and affiliate marketing go hand in hand, learn one to master the other.